Get Shaped Fitness introduces Get Shaped Virtual Personal Training! 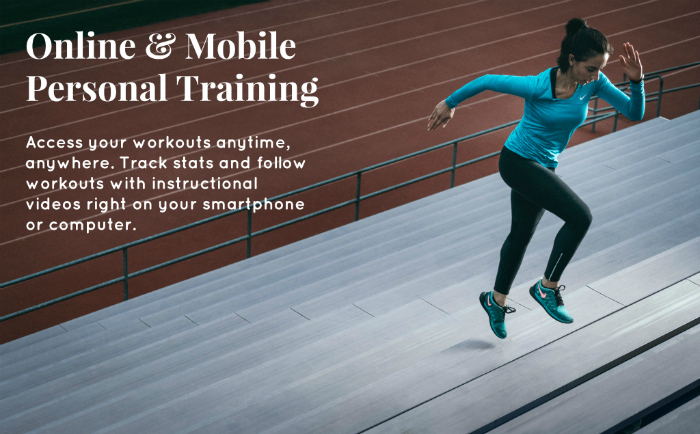 Get Shaped Fitness can now come to you on your laptop, desktop, or mobile device, wherever you may be for virtual fitness training. Yes, a certified Personal Trainer in your home, office, or hotel via Skype™. Virtual fitness training sessions are available for all of our clients. This is often an ideal solution for our clients who spend a lot of their time on the road or those who have frequently changing schedules. Please ask about remote training options if you are interested in scheduling one or more remote fitness training sessions via Skype™. For more information about Get Shaped Virtual™ fitness training sessions, including technical requirements, costs, and scheduling, please contact us. Personalized progressive workouts, created by a GSF Personal Trainer, sent to you weekly. Every workout includes detailed instructions as well as videos showing the client how to properly perform the exercises. Take the workouts anywhere, and track your results. Your trainer reviews your results and modifies your training plan. Each package gives you a full week of workouts including resistance training sessions and cardio sessions.